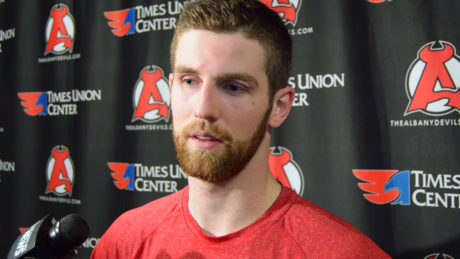 Dan Kelly, who had a goal and an assist during Game 2, talks to the media following the contest. 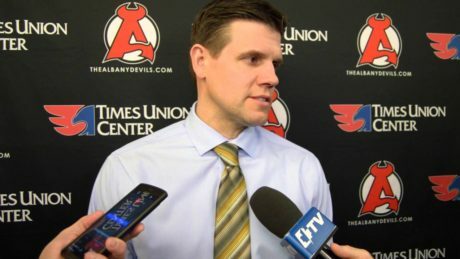 Head Coach Rick Kowalsky’s media scrum following the Devils 5-3 loss against the Marlies during Game 2. 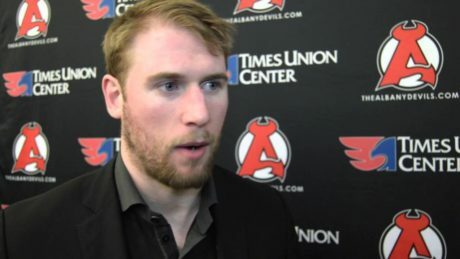 Dan Kelly previews the Devils’ Game 2 contest against the Marlies. 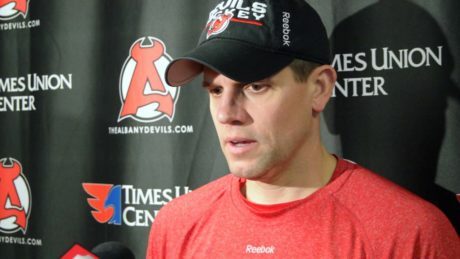 Head Coach Rick Kowalsky addresses the media following the Devils optional practice Thursday ahead of Game 2 against the Marlies. 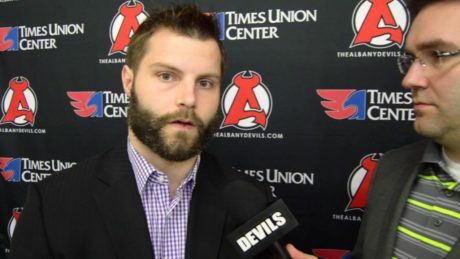 Devils’ captain Rod Pelley talks about the team’s 2-1 win against the Toronto Marlies Wednesday and what to expect during Game 2 Friday. 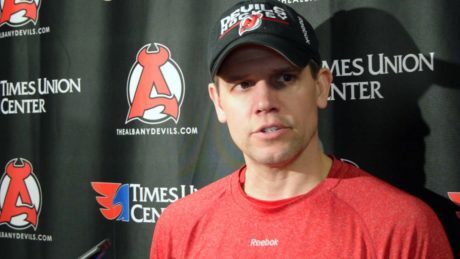 Head Coach Rick Kowalsky breaks down the Devils 2-1 win during Game 1. 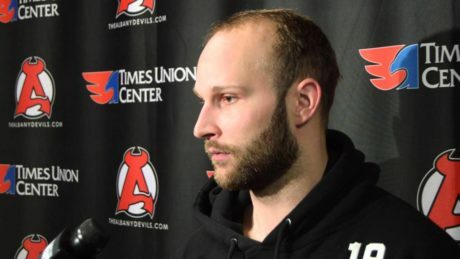 Mike Sislo talks about what the Devils need to do to contain the Marlies. Playing in Canada can be distracting for the homegrown players. 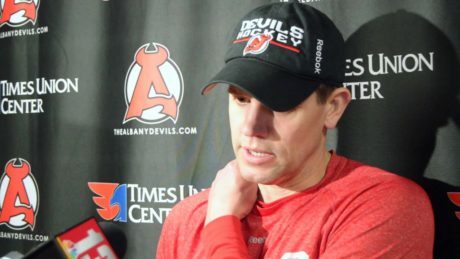 Here is how the Devils are addressing it. 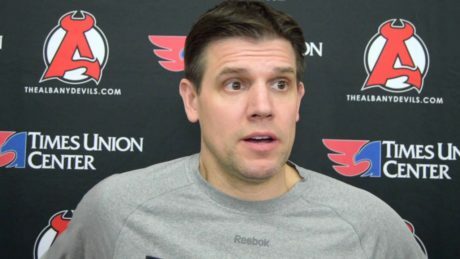 Head Coach Rick Kowalsky addresses the team’s tough travel schedule during the second round. 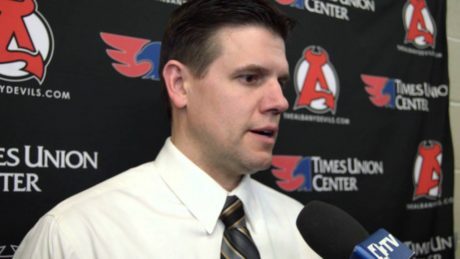 Head Coach Rick Kowalsky previews the North Division Final against the Marlies. 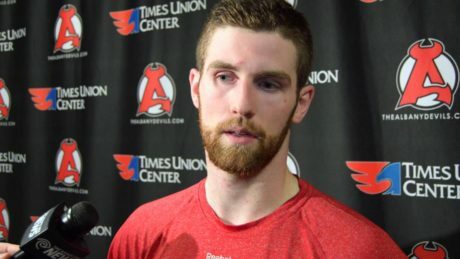 Scott Wedgewood talks about returning to his home province. 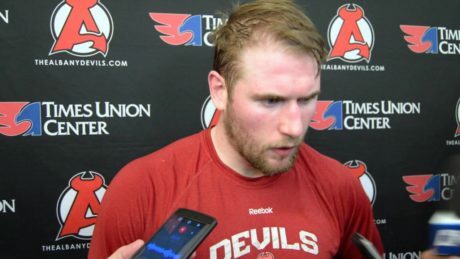 Scott Wedgewood gives his take on the Devils vs. Marlies series.